The size of the finished border depends on the yarn and hook you use. 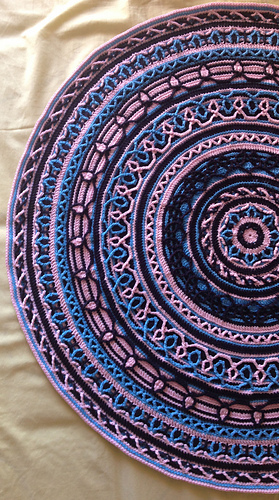 The whole circle (with central Joana’s Mandala) is approx. 85cm (34”) large across. 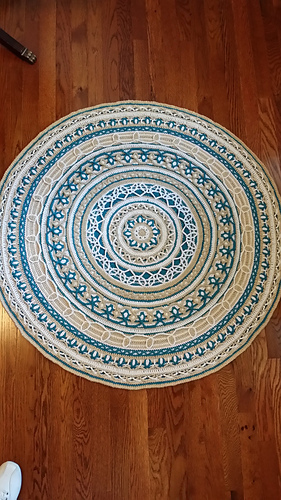 You can find the pattern for Joana’s Mandala HERE. 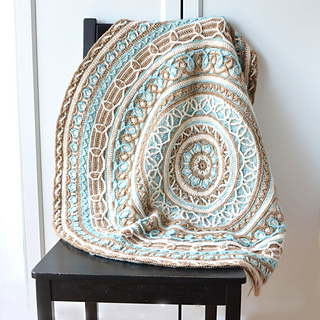 You will get a discount if you buy both Joana’s Mandala and Joana’s Border patterns. You should put two patterns in your cart. 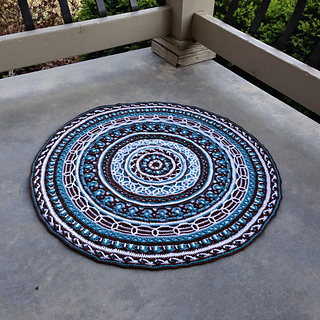 This promotion is also valid in case you’ve bought the Joana’s Mandala pattern before. Please, put two patterns to your cart and get your discount. 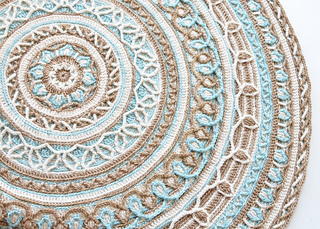 This border pattern was designed to enlarge existing Joana’s Mandala. 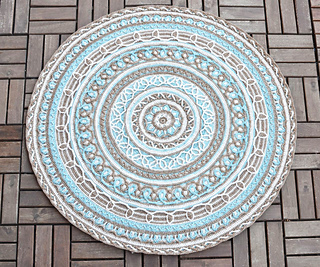 But it can also be used for any mandala with 248 sts on the last round. And it will perfectly suit Dandelion mandala as well. 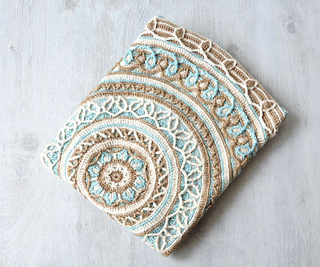 Using this border, you can crochet a medium-sized throw or rug - for example for meditation. 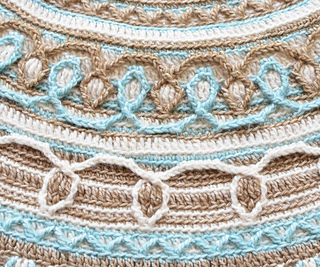 The border is made in Overlay Crochet technique. This easy to follow pattern (9 pages) is written for one size. It contains step by step full written instructions in English using standard crochet abbreviations and US terms (stitch guide is given in the pattern). It also contains lots of pictures explaining all the tricky and difficult places. Yarn in three colors. I used yarn “Stone Washed” by Scheepjes: shades 801, 804 and 813. But you can absolutely use more colors if you wish! Crochet hook 3.25 mm (D) or the size that will give an acceptable gauge. An original LillaBjörnCrochet Design. Copyright 2014-2016. All rights reserved. This pattern is for personal use only. It cannot be sold, redistributed or edited in any way. You can sell your finished products, but you cannot use my pictures to promote them. And please always credit me as a designer with the link to this pattern. Thank you!